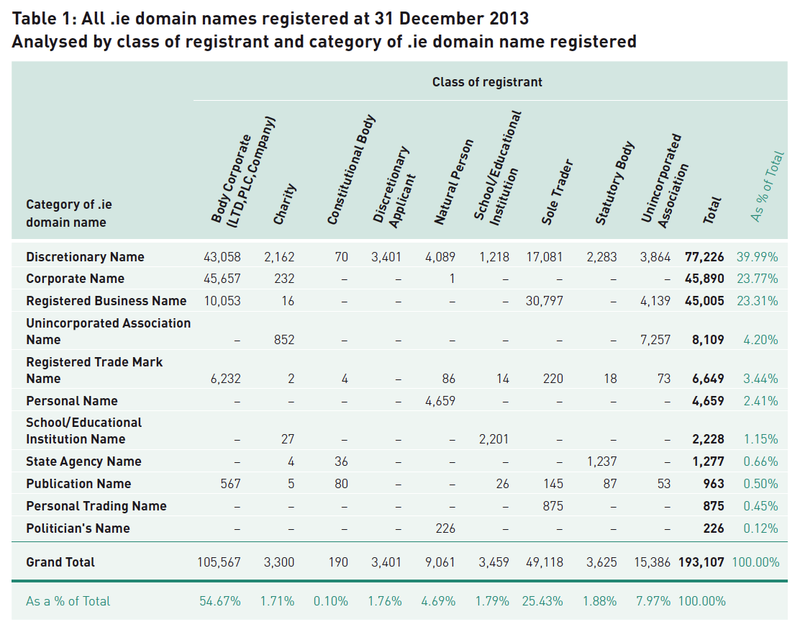 The IEDR annual report is out and we've got the ie domain statistics. The IEDR annual report is out and we’ve got the ie domain statistics. I’ve mentioned we like stats right? We’ve got even more stats for you today. The IEDR annual report was released yesterday and it’s full of nice facts and figures. We’ve grabbed some facts and figures from the report to share with you. First up … what’s the trend on registrations like? Breaking down the total number of registrations by province I’m guessing it’s no surprise and reflects the concentration of population. We can break that down even further on a per county level. 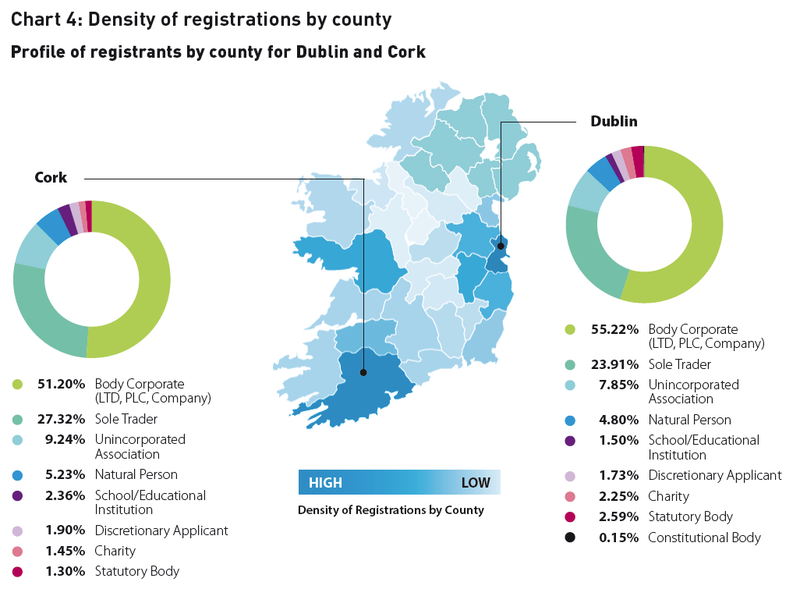 Dublin being responsible for a pretty huge 42.68% of all registrations and my own county Galway coming in at just under 4%. Is this an indication of the technology industry across Ireland? Unlike .com, the .ie registration process requires that registrants specify who they are by choosing a “class” and a “category”. 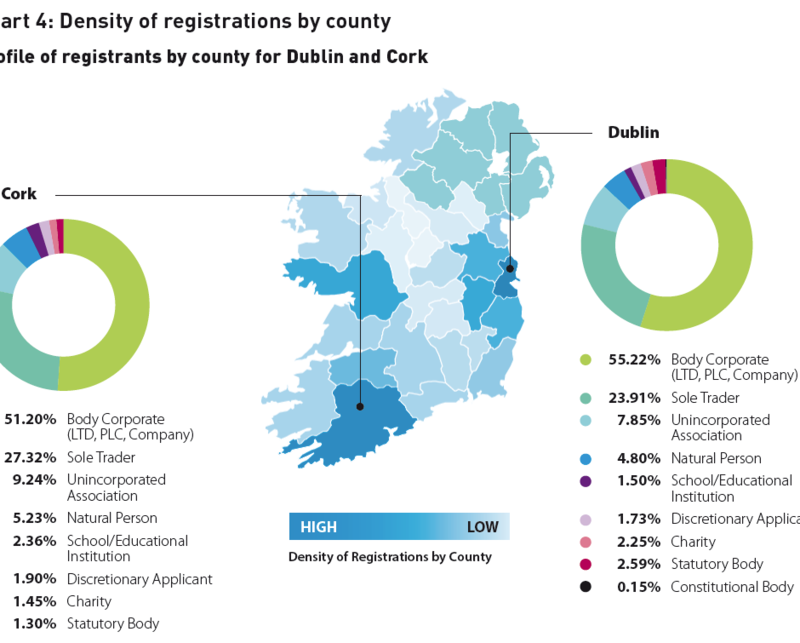 So what types of registrations are going? We’ve got the numbers. As you can see “discretionary” dominates. Why? Essentially you’d use this category for a domain name that was being used for something that wasn’t your name, your business name or your trading name. So if your business was called “Irish Computers” and you wanted to register “flatmonitors.ie” you’d need to use “discretionary”. Taking a look at both Dublin and Cork more closely. 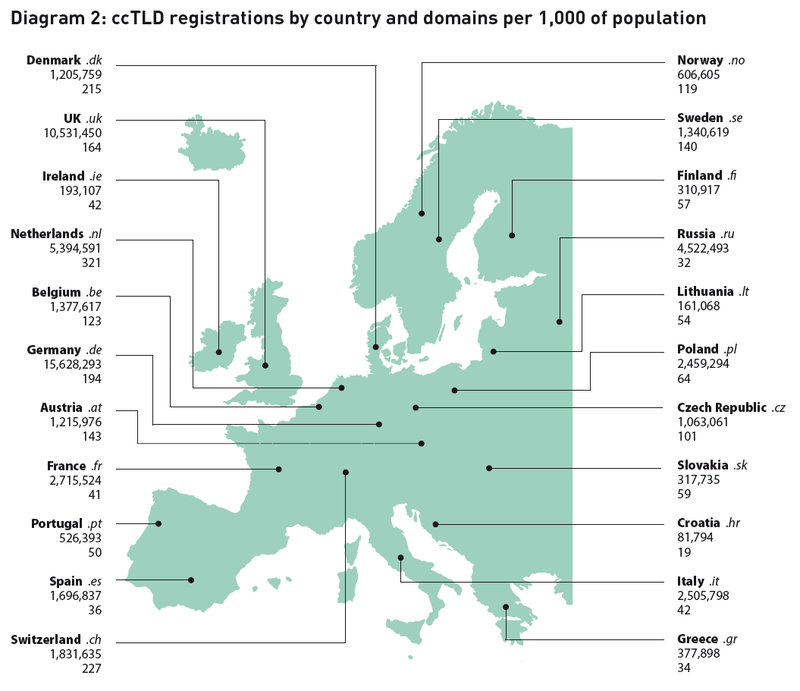 How do Country Code Top Level Domain (ccTLD) registrations compare across Europe? 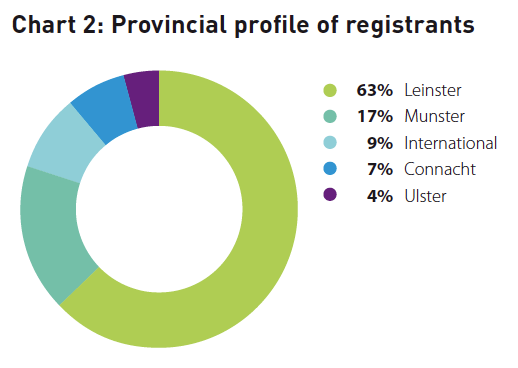 There are 42 domains registered for every 1000 people in Ireland. This compares to 164 registrations for every 1000 people in the UK. The average across europe being a little bit over 100 domains per 1000 people. 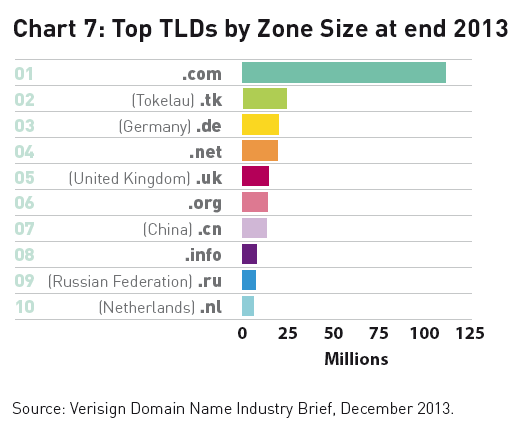 On the larger scale against all Top Level Domains how does it all compare? You can see as always that .com is still King. However local is also highly popular. Bear in mind, however, that .tk is a “free” domain name. The icing on the cake of all of this? Get your own .ie for just €5.99 when purchased with hosting. Head on over to the main site and search for the .ie you want or on dropped.ie where you’ll see recently dropped .ie domains. Add a year of hosting and your .ie will cost just €5.99.